Are you in the mood for a little spot of online retail therapy to wash away the blues that often come attached to a hectic working day? Have you recently looked at your technological stack and deemed it necessary to bolster it with the purchase of something new? Are you the type of consumer who likes to spend, but appreciates getting the best value for money possible? 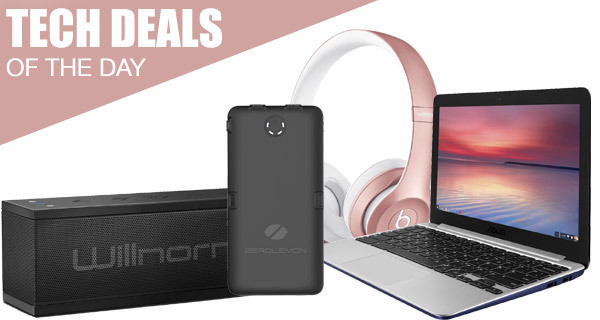 We assume you answered yes to at least one of those questions, which means you will definitely benefit from today’s tech deals. 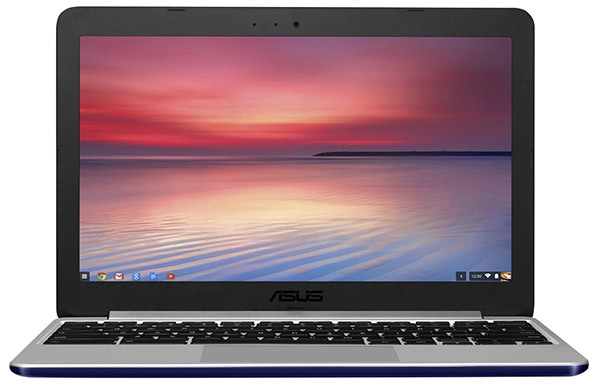 We are looking at an affordable 11.6-inch Chromebook from ASUS, discounted by almost $40, and well, some really impressive aesthetics. To help you charge your devices on the go, there’s a shock resistant as well as weather resistant portable power bank charger packing a massive 30,000mAh battery. 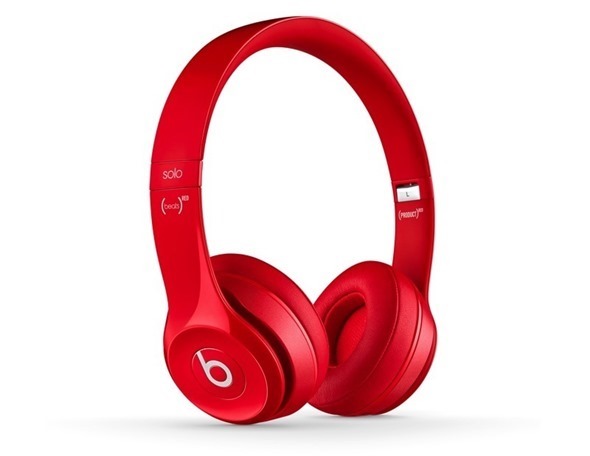 For the audiophiles among you, we have a wireless Bluetooth speaker, but if that’s not how you roll, you can also check out the Beats Solo2 on-ear wireless headphones from Apple. As always is the case, the deals listed here are all available for a limited time period only, or till stocks last, whichever happens first. So if you wish to grab an item from here, make sure you act fast before it gets too late. Enjoy the savings! If you travel a lot, or simply like to perform non-extensive computing tasks without the fuss of having to boot up a full desktop operating system and put up with unnecessary bloat, then a lightweight Chromebook running ChromeOS may actually be for you. This gorgeous ASUS option borrows a few of its aesthetics from Apple’s MacBook Air, but also comes equipped with a 11.6-inch display, 4GB DDR3 RAM and a 1.8GHz processor. Useful, lightweight and very portable for those who don’t need a Windows or macOS-based machine. If you’re in the market for a portable Bluetooth audio accessory that can deliver high quality sound on demand, then this Willnorn SoundPlus speaker could be right up your street. This little black rectangle comes with Maximum Volume Enhance for a sound that can’t be missed. There’s increased bass and balance boost, as well as built-in NFS, and it offers all of this in an extremely portable form factor that is also waterproof. Make sure you use the following promo code at checkout to grab the speaker for just $28: AW5EXTBZ. What could be better than a portable battery back that breathes life into your smartphone, tablet or laptop when you get stuck in a sticky situation? Well, a highly portable, highly rugged option with an internal 30,000mAh battery capacity and 4 USB ports for multiple device charging, of course. 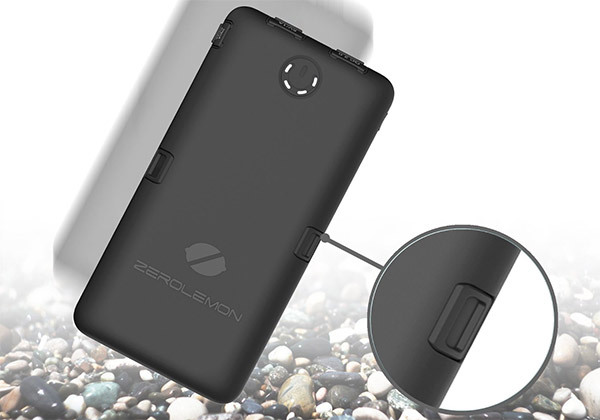 This handy little battery pack offers Quick Charge 2.0 and USB Type-C support as well, and features a rugged exterior to ensure it gets the protection and durability that the price deserves. Make sure you use the following promo code at checkout to grab it for just $70: JUXKCZZ4. If you are planning on spending your hard earned dime on a new iPhone 7 when it launches next month, then you may as well consider a pair of Bluetooth wireless headphones to go with it. The removal of the 3.5mm headphone jack on next month’s iPhone 7 is almost a certainty. What better way to take the initiative than to get a pair of high quality premium wireless option at a discounted price to make sure you’re ready ahead of time? The deal is on a certified refurbished Solo2 wireless option, which means it comes after service straight from Apple.